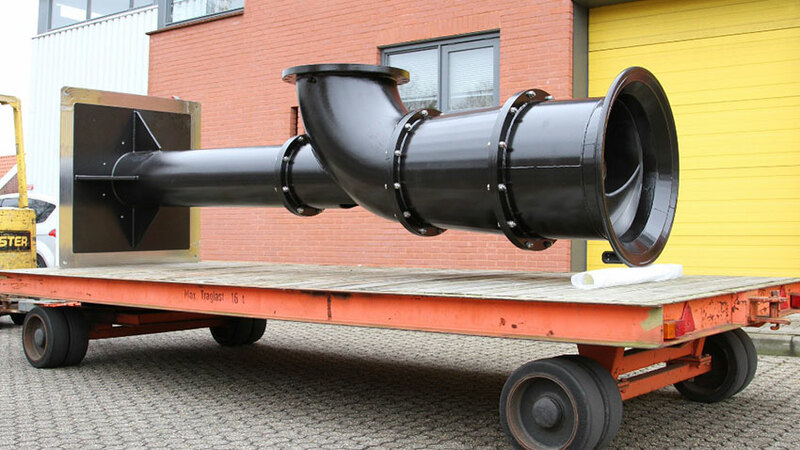 Axial pumps (also called axial-flow pumps, or AFP) are the most commonly installed pumps in The Netherlands. 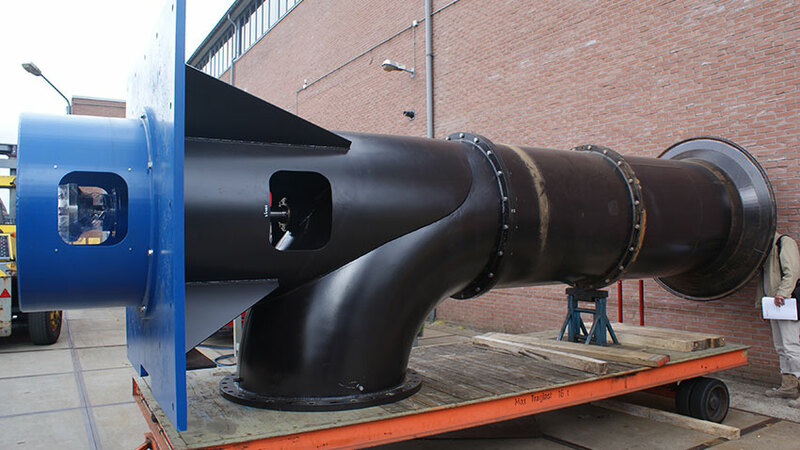 These pumps have a broad variety of usages, ranging from small pumping in polder canals to Gemaal IJmuiden, Europe’s largest pumping station. Compared to other pump designs, axial pumps are the most damaging to fish. Especially the smaller axial pumps are disastrous for passing fish. 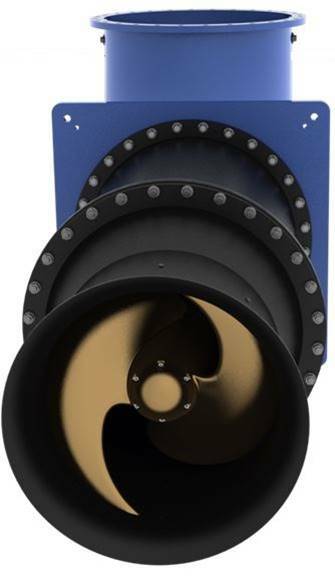 In cooperation with Pentair Fairbanks Nijhuis, FishFlow Innovations has developed a >97% fish friendly and 100% eel safe axial pump. 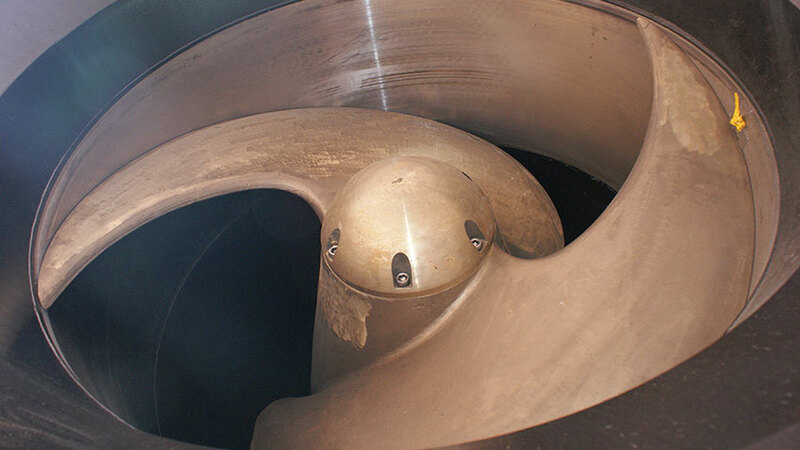 A substantial part of the current fish mortality is caused when fish or eels collide with the impeller blades and/or guide vanes when passing through conventional pumping stations. 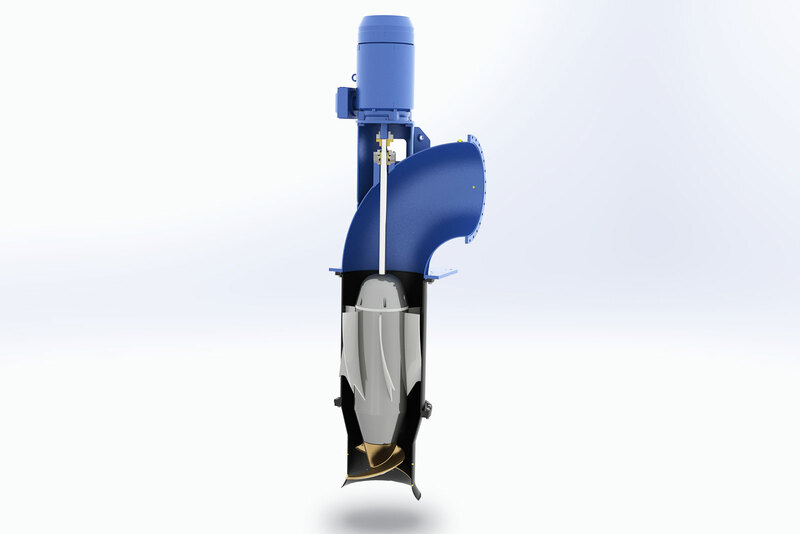 The principle of the fish friendly pump therefore is an adaption of the impeller and guide vanes. 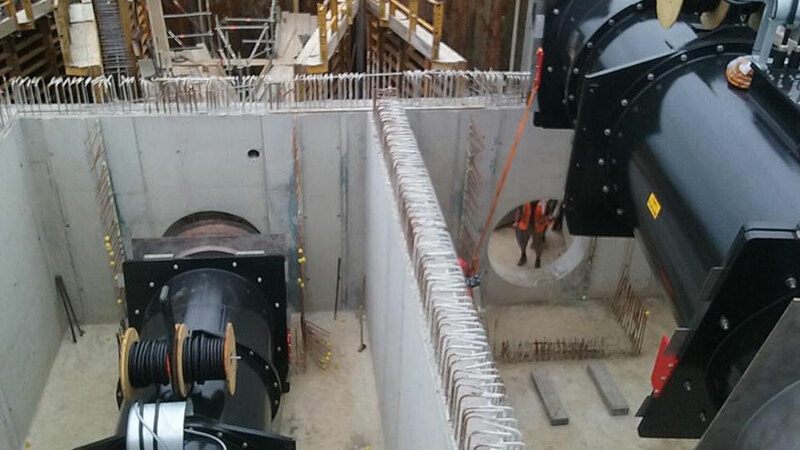 In addition to pumps in pumping stations, the low-pressure turbines of hydroelectric power plants impose a great risk to migrating fish. 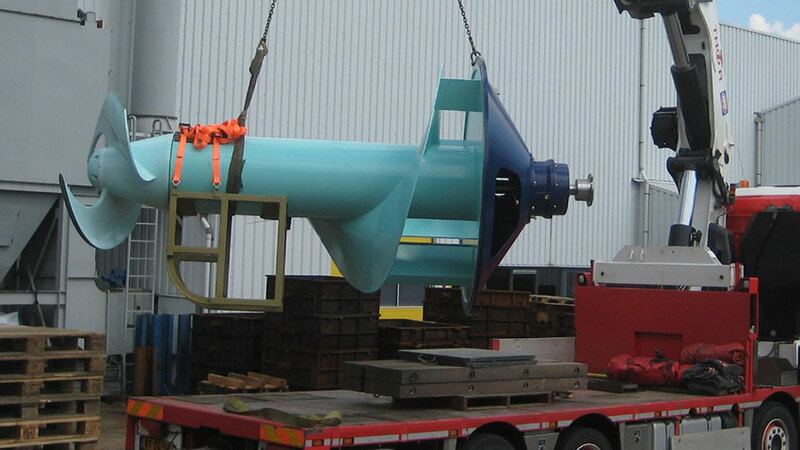 Our fish friendly pumping principles will also make the impellers and guide vanes of turbines fish friendly. 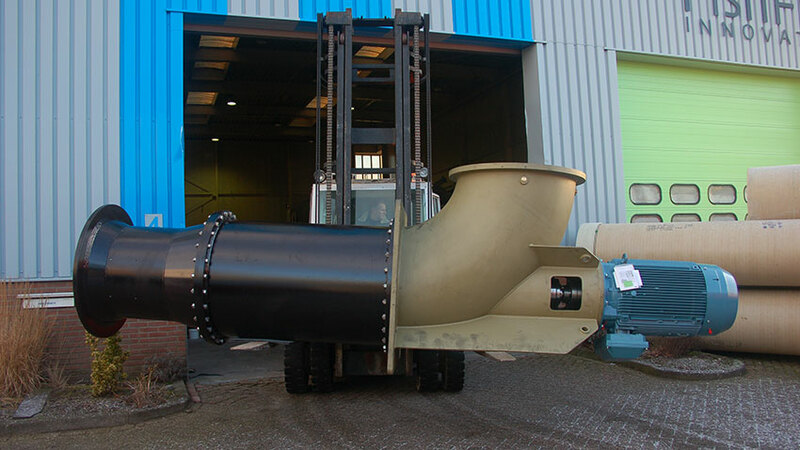 The adaption also makes the impeller cavitation free, which makes it very silent. Because of the absence of noise fish are not hesitant to swim through the pump when migrating. Available in vertical and horizontal version, either in dry or wet setup. 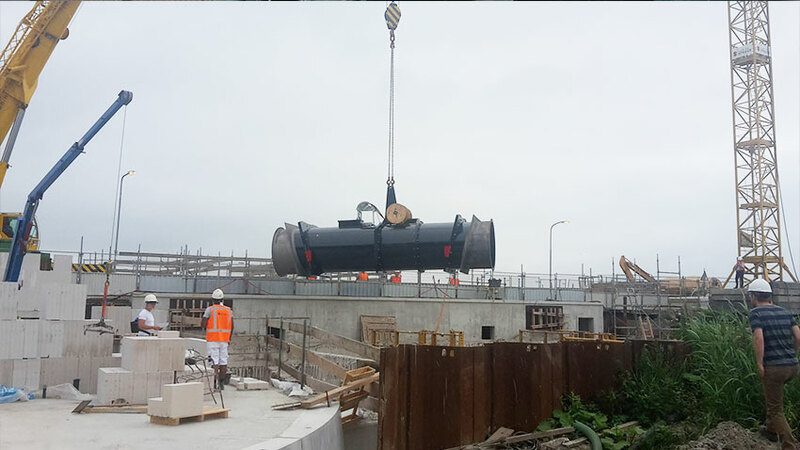 Standard capacity from 1.500 to 20.000 m³/h. Standard head difference from 1 to 5 m.
Higher capacities or head differences are possible. 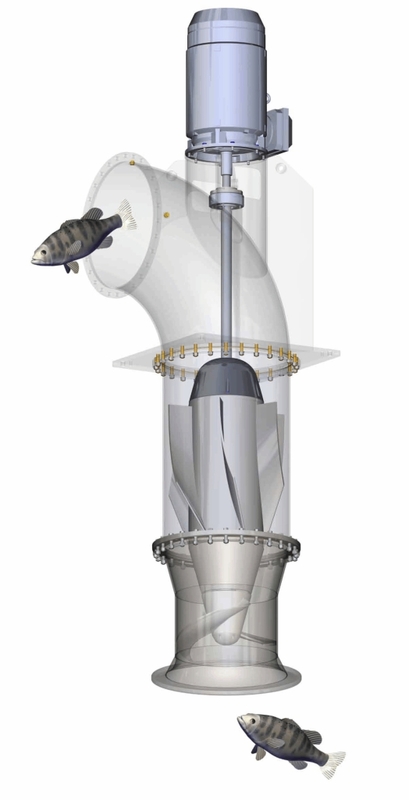 Are you interested in a fish friendly axial flow pump from Pentair Fairbanks Nijhuis & FishFlow Innovations? Send an e-mail to info@fishflow.nl or use the contact form. We will contact you quickly and propose our best solution.